Empire State Building, NEW YORK—Samuel Tran (’14) was announced as the winner of the race for Student Body President at noon Wednesday, Feb. 22, beating candidates Caz Crane (’13) and David Dantzler (’13). Tran secured 54 percent of the vote, with Crane and Dantzler earning 32 percent and 15 percent, respectively. Sixty-six percent of the student body (282 students of 427) voted in the election. 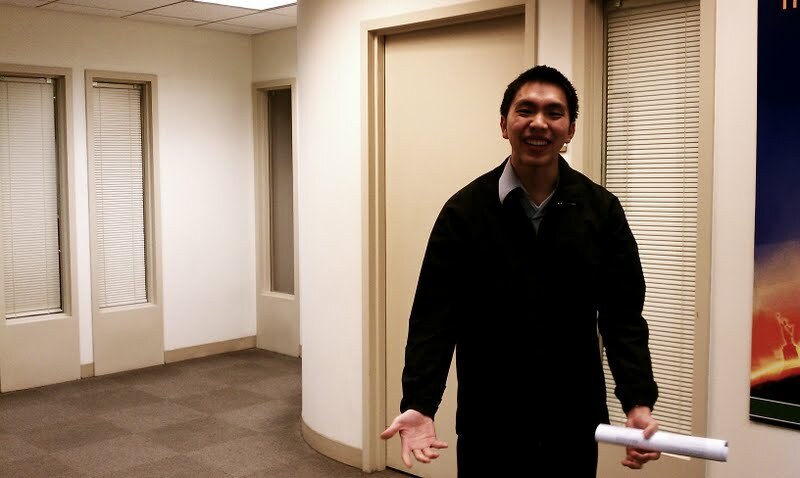 Chad Abbott, a fellow Bonhoeffer to Tran, posted a video of the announcement. As midterms approach, Tran was glad he no longer has to deal with the stress of waiting to hear who won. "I feel really relieved,” Tran said. For his first action as SBP, Tran plans to survey King’s students, asking them if they would recommend TKC to prospective students and why. He will then ascertain the most common reasons that students would not recommend King’s and will try to address those issues. In his platform, Tran had focused largely on furthering City Engagement and increasing student involvement. He believes City Engagement is a fundamental part of the school. Many students reacted positively to the election results, emphasizing their support for Tran’s “Get Out” platform and his desire to become more involved in the city. Nikki Altman (’15) agreed, adding that she also likes Tran’s plan to encourage the creation of more foreign language classes. While students seem positive about Tran’s focus, they hope he will integrate some of the other candidates’ main ideas into his plans. “I think for the student body to ‘Get Out,’ it is crucial that it be unified, which was something I really liked about Caz’s platform,” Heather Cate (’15) said. While Crane also liked Tran’s platform, Crane stressed the importance of fellow candidate Dantzler’s focus on the fortification of academics.